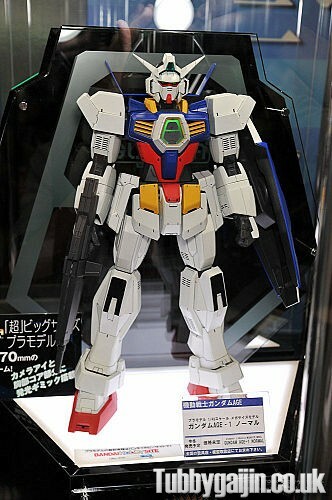 So the new Gundam series has finally been announced. For alot of fans it’s not exactly what we were hoping for, but there are a few aspects of this series that make it well worth a look. 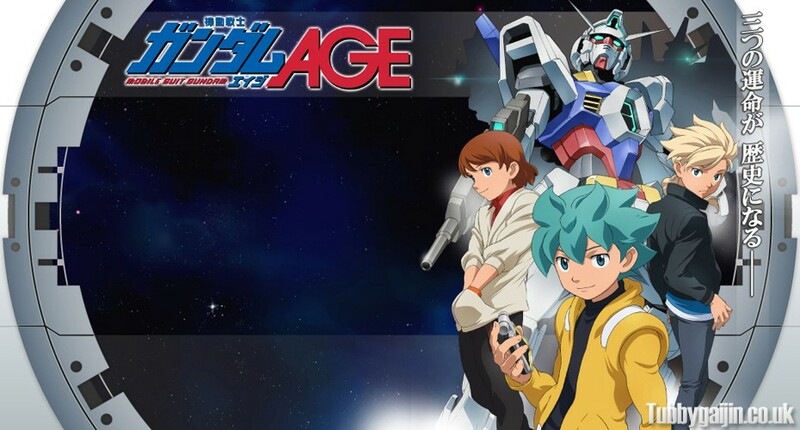 Gundam AGE aims to attract a new generation to the Gundam fanbase, and to that end the series is aimed at a much younger audience, echoing through in the character design. Looking around the Internet this seems to be the main thing that’s upset people, and I’ll admit I was a bit disappointed when it was first announced but I’ll still give it a go, and worst case we still have Gundam Unicorn! While some characters look a bit cutsier than usual, the overall style doesn’t sit too badly with me, looks kinda cool! 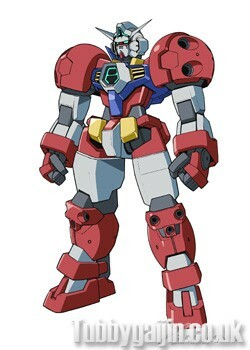 The signature Mobile Suit is an interesting one too, featuring different forms to allow it to adapt to different situations where improved speed or strength could be required – in a similar way to how Strike Gundams weapons packs made the unit very versatile. While it’s unconfirmed, I’d imagine these forms are from the first era of the series, so there may be some evolution as the story progresses. 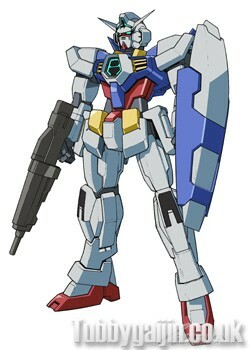 I see alot of Gundam 00 in the designs, which isn’t necessarily a bad thing but personally I prefer more detail. 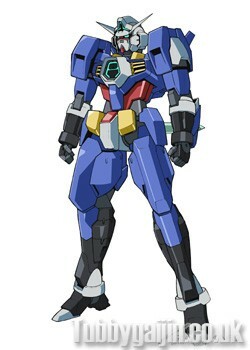 The artwork had me a little worried we were getting another weedy Gundam similar to Exia but check out the proportions on the 1/48 kit below! Admit it, that looks pretty nice.. I think it’s those extra vents and panels that sell it to me, and call me crazy but I see a bit of Gundam MK II in that design. Not to mention it has a freaking spoiler! 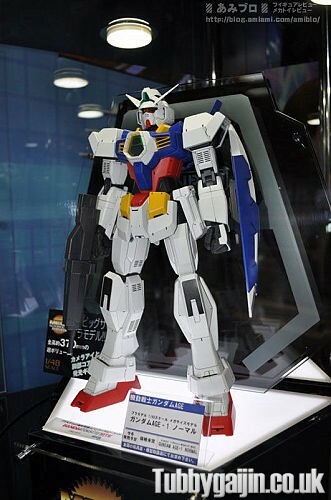 Another announcement is scheduled for this coming Saturday, advertised with a banner clearly sporting the RX-78’s head… and it looks like Gundam Guy has already discovered the nature of this project – an anime version of Gundam The Origin which is a serialised retelling of the original Mobile Suit Gundam! – if this turns out to be true.. holy crap it will be awesome! All eyes on Bandai Channel Live! 1/48 Mega Size Gundam AGE-1 Normal - Progress!